Embers Grill + Fireplace is a family owned, local, business that opened the location on Moores Lane in Cool Springs in 2004; additionally, we have over 40 years of experience in family owned business. 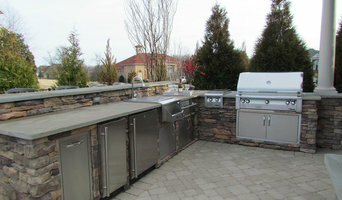 We take pride in providing the best for our customers in Brentwood, Franklin, Nashville and the surrounding areas for outdoor kitchens, gas grills, fireplaces, fire pits, outdoor furniture, gas logs and more. *Authorized Dealer of Monogram Appliances* CenWood is family owned and operated, and our company’s roots are in the construction and remodeling industries. That solid foundation, along with expert knowledge of current products and services, makes CenWood the best resource to achieve the kitchen that fits your family, lifestyle and budget. CenWood Appliance is the place to make your dream kitchen a reality. Your satisfaction is our goal. Here's what you can expect when you visit our showroom: • Expert knowledge and experience • Products that suit your needs • Unparalleled showrooms—see, touch and “test drive” appliances • Right brands and best products for any budget • Experience to identify construction problems before they exist • Product installation • Product instruction and service assistance Visit us or contact one of our associates and see why we are the kitchen experts that builders trust the most. 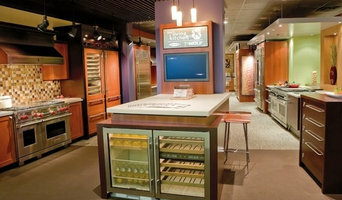 Major Appliance Showroom and Kitchen Galleries. Featuring Sub Zero/Wolf Living Kitchen, Jenn-Air, KitchenAid, Electrolux, Thermador, Bosch, Miele, Asko, DCS by Fisher & Paykel, GE, Monogram and more. We repair appliances and refrigeration equipment in and around Nashville/Davidson county Tennessee. We have over 30 years experience and repair all makes and models both gas and electric. Nashville Medispa Laser hair removal, Botox, Microdermabrasion, Tanning, Dermabrasion, and Fillers. Building a home, remodeling a kitchen, or just replacing your busted dishwasher? Cenwood can help. If you want real advice and experience when selecting your new appliances, you will be happy that you stopped by our amazing showroom. I say this with complete confidence, because my customers tell me every week. We know what we are talking about and want to help you make the right choice for your kitchen. A1 Appliance is a family-owned Appliances, Refrigeration, Laundry, Washers, Dryers, Ovens, Ranges, and Dishwashers store based in Nashville, TN. Since 1982. FlashPoint Candle started at the Nashville Farmers’ Market in 2011. Selling candles to make additional income, Drea Groeschel quickly gained a loyal following and began exploring ways to create candles in unique containers. Her love of design and artistic flare gave her candles a signature look that became highly sought after. Candle sales soared along with her creativity. Within 12 months, FlashPoint Candle was shipping nationally and Drea could no longer produce the candles in her basement. She moved FlashPoint Candle to a larger facility, just outside of Nashville Tennessee, where there was enough space to create and launch an international brand. Today FlashPoint Candle is known for specialty, high quality handmade items – artful and well crafted – each with a story. Enjoy your FlashPoint Candle products and know that an American artisan crafted each one. Call Nashville Water Damage Restoration & Mold Remediation at (615) 823-7734. We provide emergency water damage service 24 hours/day including repair, removal, cleanup or restoration for mold, water, fire, flood, smoke, storm, carpet, furniture, appliances, basement, ceiling, wall, and more for residential or commercial. Commercial Appliance Parts & Service in Nashville, Tennessee is your best resource for fast, high quality Commercial Appliances & Service! With many years in the commercial appliance repair industry, we are also a parts distributor serving the Middle Tennessee area. We are determined to deliver the products you need, when you need them. CAPS carries a wide selection of the most trusted, high quality commercial and professional appliances preferred by restaurants, hotels, schools, universities, churches, home gourmands, and others. We stock an extensive collection of items in our Nashville warehouse, and items not currently in stock are generally received within two days! That means we are able to provide you with what you need faster than anyone else in our field. 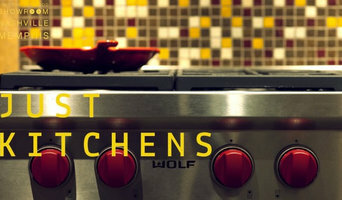 We specialize in what we call the "hot side" of cooking equipment, meaning we focus on things that get HOT like Fryers, Ovens, Microwaves, Combination Ovens, and Steamers. We also carry Commercial Refrigerators, Freezers, Ice Makers, and more! Commercial Appliance Parts & Service also provides and services parts for all major commercial brands including Blodgett, Southbend, Amana, Panasonic, Pitco, and Ultrafryer Systems. Sunrisegolfcarts.com offers the perfect electric golf caddy cart trolley with latest features including manual control as well as remote control facilities to carry your clubs leaving you ample time to focus on your game. 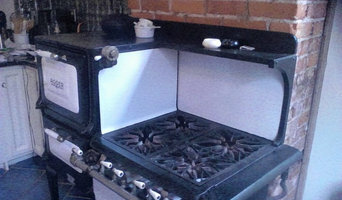 Nashville Appliance Repair by the experts at Nashville Professional Services. Call us today to get fast and experienced service for your Appliance Repair. Perchè rivolgersi a professionisti e negozi di elettrodomestici nella zona di Nashville, TN? I professionisti gestiscono spesso negozi di elettrodomestici e lavorano frequentemente come riparatori, offrendo servizi di assistenza a domicilio, manutenzione dei macchinari e fornitura di ricambi. Anche quando vogliamo sostituire interamente un vecchio elemento, gli esperti sanno come consigliarci sulla sostituzione e possono anche occuparsi di prelevare il pezzo usato a casa nostra e sistemare l’elettrodomestico nuovo. I negozi di elettrodomestici non offrono solamente macchinari per la cucina e il bagno, ma anche prodotti di elettronica, macchine da cucire, aspirapolvere, televisori o altri prodotti più specifici. Il professionista ti aiuterà e consiglierà nell’acquisto, indicandoti le marche con le migliori offerte, così come si occuperà della progettazione, installazione e manutenzione degli elementi che ha venduto o che avevi comprato in precedenza. Scegliendo il professionista giusto e progettando bene le scelte nel tempo, gli elettrodomestici potranno così evolvere da semplici macchinari per cucinare, pulire, scaldare e raffreddare a veri e propri elementi dell’arredamento, tanto funzionali quanto inseriti nello stile della cucina, del bagno e del soggiorno di casa. Avvia una ricerca nella sezione “Professionisti” includendo il nome della tua città. Compila un Ideabook con i prodotti che più ti piacciono e contatta i professionisti che hanno lavorato a tali progetti. Ti consigliamo inoltre di diventare un utente attivo nella community di Houzz pubblicando un design dilemma o un sondaggio: i professionisti saranno felici di rispondere alle tue domande.